Believe it or not, but Apple’s latest set of 2018 iPad Pro ads were shot and edited completely on the iPad Pro itself. Apple has been pushing the iPad Pro really hard as a laptop replacement. But while many do believe that Apple has the right formula under the belt to actually make that plan a reality, some sit on the opposite side of the fence and are complete non-believers. We understand completely why is that so. Well, if you take a glance at Apple’s latest iPad Pro ads, then you might actually start taking Apple’s tablet a little more seriously as a laptop replacement. Why? Because they were shot and edited entirely on an iPad Pro. Yes, even the camera work as well, straight off the latest tablet’s rear shooter. Where’s the proof you ask? Apple’s latest behind the scenes video posted on YouTube. It’s worth a look if you are eager to know how it all went down. Unsurprisingly, all the big name apps made the cut in the video, including Luma Fusion, which is being hailed as a Final Cut Pro X alternative on Apple’s tablet. If that wasn’t enough, the animations were pulled off using Apple’s very own Keynote app. Whereas the video was shot using the iPad’s rear facing camera on Filmic Pro, which is a professional app for recording video and offers features such as the ability to shoot in Log for high dynamic range. Last but not the least, the music was all done on Apple’s very own GarageBand app. The point Apple is making here is a simple one really: the iPad Pro is a very, very capable tablet that can indeed replace your notebook. But of course, that will only happen if you give it a chance. 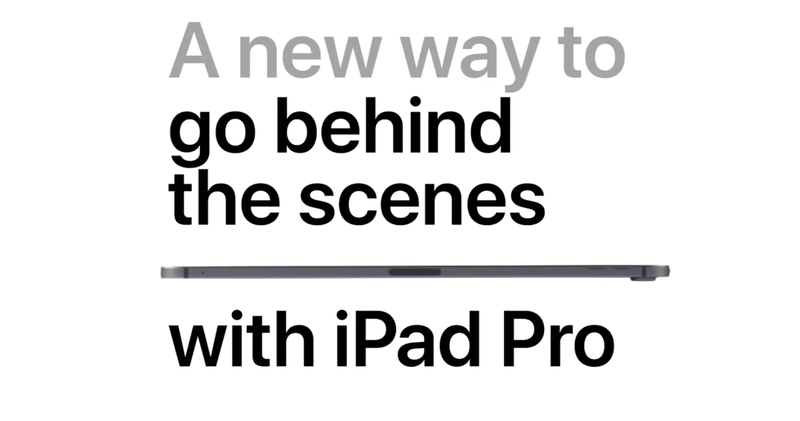 In case you were wondering which ads were shot using the iPad Pro, we have embedded them all below. They are worth a watch as they highlight what you an do with Apple’s latest set of tablets.